Winner at the recent ITTF-Asian Cup in the Indian city of Ahmedabad, Zhu Yuling heads the confirmed entry for the forthcoming Uncle Pop 2017 ITTF Women’s World Cup presented by Polar Naturals. Play commences in Markham, Toronto on Friday 27th October and concludes Sunday 29th October. Zhu Yuling, the top seed but it is on her Chinese National Team colleague, Liu Shiwen, the player she beat in the Ahmedabad final, that the focus of attention is directed. She replaces compatriot Ding Ning, the reigning Olympic and World champion, named on the original list, her current physical condition necessitating a rest from international competition. It is for Liu Shiwen very much her tournament; four appearances, she has never lost a single match and is on a quest to become the most successful player in the history of the tournament, an event which first saw the light of day in 1996 in Hong Kong when Deng Yaping emerged successful. Liu Shiwen won in 2009 in Guangzhou and in 2012 in Huangshi, before retaining the title the following year in Kobe and then regaining the crown in 2015 in Sendai. Win in Markham and she moves ahead of her illustrious compatriots Wang Nan and Zhang Yining who likewise won four times. Wang Nan succeeded in 1997 in Shanghai and in 1998 in Taipei City before later winning in 2003 in Hong Kong and 2007 in Chengdu. 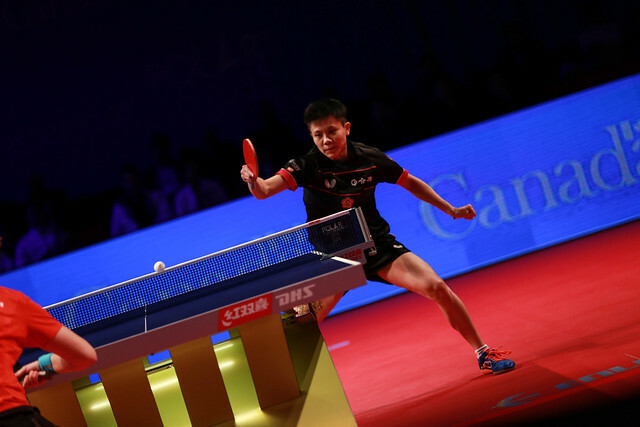 Meanwhile Zhang Yining secured the crown in consecutive years in 2001 in Wuhu and in 2002 in Singapore, before succeeding in 2004 in Huangzhou and in 2005 in Guangzhou. Success for Liu Shiwen, for five further confirmed players on duty, there has been past success. Japan’s Miu Hirano and Chinese Taipei’s Cheng I-Ching, who contested the Seamaster 2016 ITTF Women’s World Cup final in Philadelphia with the former the winner; both are confirmed list, as are Japan’s Kasumi Ishikawa and Romania’s Elizabeta Samara. Kasumi Ishikawa was the bronze medallist in 2015 in Linz, the silver medallist the following year in Sendai; Elizabeta Samara was the runner up in 2012 in Huangshi. Continental Cup (Asia & Europe 2nd & 3rd Places): Kasumi Ishikawa (Japan), Miu Hirano (Japan), Sabine Winter (Germany), Matilda Ekholm (Sweden) replaces Petrissa Solja (Germany).